After months of speculation and expectation, the Pope has released an encyclical about climate change and our species’ relationship with its natural environment. The encyclical, which is the highest form of communication that the Pope can issue, covered everything from battery storage to deforestation, to carbon credits to ecological debt, to calling for an end to fossil fuel use. Pope Francis called on the world’s rich nations to begin paying their “grave social debt” to the poor and take concrete steps on climate change, saying failure to do so presents an undeniable risk to a “common home” that is beginning to resemble a “pile of filth”. Up to now, he says, the world has accepted a “cheerful recklessness” in its approach to the issue, lacking the will to change habits for the good of the Earth. 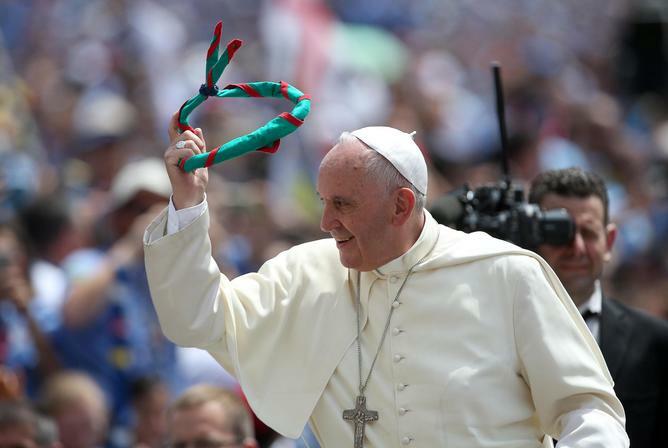 The Papal encyclical continues the tradition of a Catholic Church that does not shy away from social and political issues. While the Argentina-born pope is a very humble person, he seems increasingly determined to play a central role on the world stage. Though not a politician – or maybe precisely because he is not one – he commands high moral and ethical authority that goes beyond traditional partisan lines. No one – religious or atheist – should be in any doubt that the Pope’s encyclical on defending the natural world is a big deal. Watch the space for reaction. Forest conservation, has for the longest time challenged policymakers, environmentalists and environmental educators and in order to tackle problems caused by loss of forests, a wide range of strategies has been developed to tackle the deforestation menace in many parts of the world. One of the key solutions is environmental education. Poor community participation in protecting the forest is still one reason for inefficiency in forest management and conservation, therefore participation of the local communities in environmental education is considered to be an important part in indicating the connection between people’s activities and their impacts on the environment, as well as persuading people living adjacently near the forests to participate in the protection of conservation areas. In more liberated terms, it is an ongoing process to promote people’s dialogue, consciousness-raising, sharing experiences, and non-hierarchical relationships with others to improve their quality of life. The needs and knowledge of local forest-dependent communities is essential in facilitating participation by local people to any conservation effort. The outcome of participatory processes often depends on additional factors such as institutional or legal frameworks. Carbon Zero Kenya has got 13 improved cook stove projects country wide. The projects have been influential in the conservation of several forests in the country that sustain livelihood, i.e. Mt Kenya forest and National park, Shimba Hills national reserve, Kaptagat forest and Kereita Forest in the south of Aberdares ranges . Due to the agricultural expansion, illegal logging, as well as the unsustainable resources use, the natural forest cover has been on the decline in these regions in the recent past. The first reason is the uninhibited and irresponsible activities in the forest areas that often result in the land degradation which pose high risks of flooding, the loss of biodiversity, and potential threat to the security of rural livelihoods as well as deteriorating of girl child education and other social and economic interests of local people and other stakeholders. For a long time now the communities around Kaptagat project area located near Kaptagat forest, have used traditional cook stoves i.e. the famous ‘chepkube’and3 -stone fire for cooking. These traditional cooking habits have come with negative impacts on environment and health. However, after the introduction of Carbon Zero stoves project 4 years ago, the state of Kaptagat forest has significantly improved. This is also attributed to the immense community environment education forums conducted with the aim of sensitizing the community members on sustainable forest use. Community participatory education on the importance of embracing the use of the carbon zero cook stoves has seen great improvement in firewood management techniques and an overall improved vegetation cover in the nearby forest. 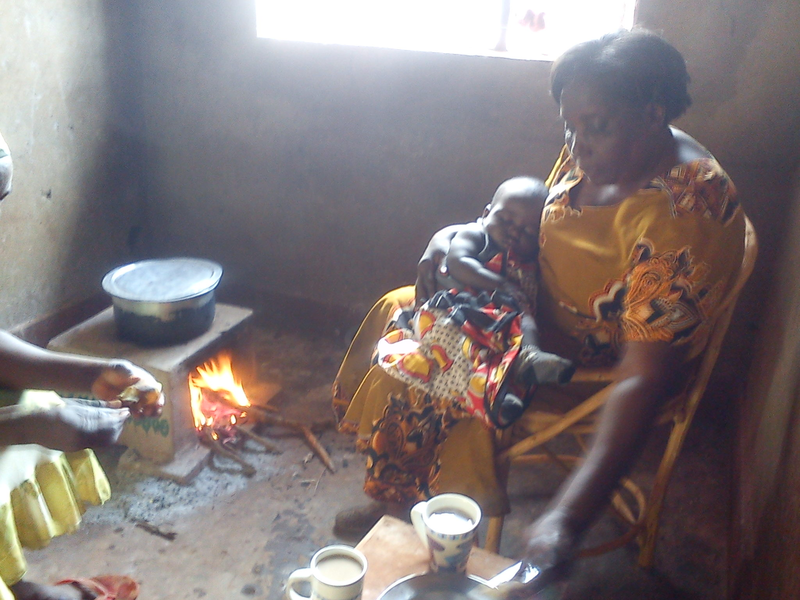 A series of meetings and demonstrations on the use of the stoves has a better part in improving the cook stove use. Involvement of the local leaders e.g. chiefs the village heads and local forest officers has also helped a lot in this whole process. As Carbon Zero Kenya team interacts with stove beneficiaries in the education meetings, there is a sense of enormous appreciation from testimonies on improved health derived from significant reduction in smoke related complications. At the end of it all these community education meetings have proved to be very constructive as beneficiaries interact with each other and share their experiences about the stoves. Co2balance prides in participatory community education which has now seen a restored green beauty, wildlife habitat and progressive improvement in water bodies among other direct social economic benefits to the community. Empowerment is the process of obtaining basic opportunities for marginalized people, either directly by those people, or through the help of non-marginalized others who share their own access to these opportunities. It includes actively thwarting attempts to deny those opportunities. It equally includes encouraging, and developing the skills for, self-sufficiency, with a focus on eliminating the future need for charity or welfare in the individuals of the group. Most women across the globe rely on the informal work sector for an income. If women were empowered to do more and be more, the possibility for economic growth becomes apparent. Empowering women in developing countries is essential to reduce global poverty since women represent most of the world’s poor population. Eliminating a significant part of a nation’s work force on the sole basis of gender can have detrimental effects on the economy of that nation. In addition, female participation in counsels, groups, and businesses is seen to increase efficiency. Empowering women to participate fully in economic life across all sectors is essential to build stronger economies, achieve internationally agreed goals for development and sustainability, and improve the quality of life for women, men, families and communities. The private sector is a key partner in efforts to advance gender equality and empower women. 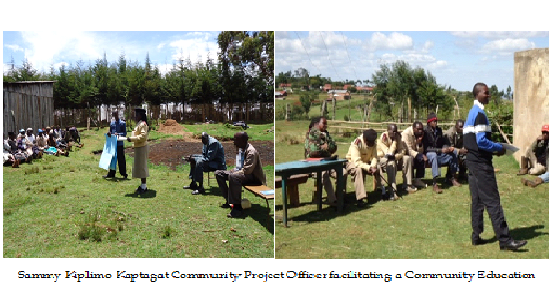 Co2balance has played a very important role in empowering women by disseminating ICS to Aberdares region in Kenya. This has impacted positively on the lives of the community by creating more time for education for young growing girls, mothers of tomorrow, relieving domestic duties burden by reducing the number of hours used to fetch firewood from the forest and cooking time. Collectively reducing health hazards associated with open traditional fires and reducing respiratory infections; just to mention a few of the many benefits this community boasts of. One Miriam Wairimu is a representation of the many happy faces and testimonies that we recently sampled in Aberdares Carbon Zero Cook stoves project area. As a wife, mother and a farmer Miriam prides in Carbon Zero ICS which has helped her manage her time better by reducing the amount of time used for wood harvesting therefore giving her enough time to attend to her family, farm and livestock. She notes that with her extra time she is able to engage in other economic activities which have enabled her create a source of income for her family. She says that with this improved cook stove she is empowered to advance her life something she is very much committed to do. Many women in Miriam’s village, Kimende, look up to her for guidance in modern agricultural practices that also count as conservation models like Intercropping. June 5th marks the World Environment Day and UNEP’s campaign calls all of us to consume with care, taking into consideration what burden our everyday activities pose on our planet. One of these simple and vital activities is cooking with three billion people in the world still preparing their meals on open fires or traditional cookstoves. This practice carries enormous ecological burden: according to the Clean Cookstove Alliance, the emissions from the combustion of unsustainably harvested wood fuel alone accounts for roughly 2% of global greenhouse gas emissions. Co2balance is proud to contribute for a cleaner cooking environment and a more sustainable woodful consumption through its multiple improved cookstove projects in Kenya, Rwanda and Cameroon. We are thankful for our in-country NGO partners for their hard-work and also to our investors whose support are essential to sustain the progress of these projects. These transforming partnerships have a truly great impact one both people’s life and the environment. On today’s World Environment Day we are re-considering some of our everyday’s habits locally and how we can possible change them to waste less of our planet’s resources. At the same time Co2balance also commits to keep supporting and developing projects that helps to protect the environment on the other part of the world as well. 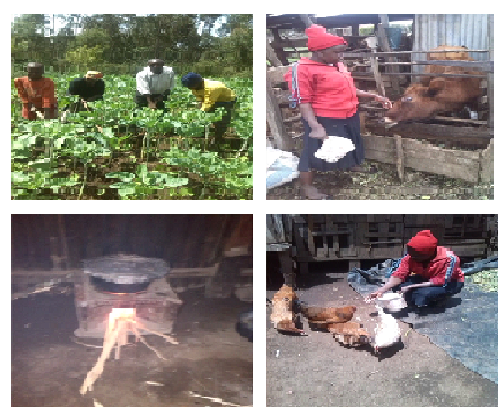 Last week Gold Standard issued 28,337 carbon credits from the Meru small scale cook stoves project. The project is located in Meru South District of Tharaka Nithi County a place famously known as Chuka district and had 28,337 tonnes of CO2 emissions reductions during the last monitoring period. Since 2011, the Meru Improved Cook stove project has focused on reducing the negative health, environmental and economic impacts related to cooking on three stone fires through the distribution of over 8000 improved CZK cook stoves. The distribution of fuel-efficient cook stoves has also lessen the amount of harmful smoke and indoor air pollution currently associated with traditional three-stone fires. This resulted in a decrease in the incidences of negative health impacts, such as respiratory diseases, among rural households.